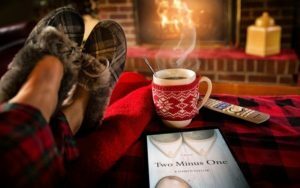 Two Minus One: A Memoir has been released. The book tour is in progress. Signings, events, and book clubs are continuing to fill my calendar. Reflecting back on the process, I am awed by what has taken place. It was not always an easy journey for me. But I had help. I had angels in the wings. At the beginning of my writing journey, Annie Tucker was given the job of editing my work. Annie became my “angel” during the editing process. She guided me with her steadfast encouragement. Her patience and knowledge helped me re-visit painful memories and enhance the story that I wanted to share. But Annie’s job was completed. My manuscript was polished, flawless, and ready to go to print. I was again on my own. Every part of the publication process was completely unknown to me. I was immersed in a culture and listening to a language and vocabulary that I did not understand. Technology and social media presence were the most challenging aspects of my publication process. The development of a platform and the intricacies of social networking were foreign concepts to me. I began to feel similarly to the way I had felt immediately after the abandonment and betrayal of my husband. I once again found myself trying to tread water in the deep end of a pool filled with quicksand. I felt certain I would never succeed. Just as then, support came forth. Friends and family assisted and helped me “baby step” my way forward with their ongoing encouragement. They assisted in setting up social media accounts, multiple e-mails, and patiently explained the nuances of Microsoft Word. They did their best, but few were required to use social media in the way that was expected of me in building a platform. Other authors had helpful advice. So did my publisher. For each obstacle, an angel would appear in the wings. I grasped at every life preserver tossed my way. I struggled to understand and determined to continue, but I hit wall after wall on my journey. I made every effort to engage in conversations and to absorb all I could from the readers and writers in the social groups in which I was exploring. Their knowledge was vast and freely given. Their support sincere and gratefully received. Still more angels appearing in the wings. In my incompetence, I sometimes broke their rules. I begged forgiveness. I was often forgiven and sometimes barred. Yet, through it all, I was expanding my network and learning to share in groups. My publication date was drawing nearer. I needed another “angel” to appear and guide me now as I was floundering. Fortunately, through a friend who will remain an “unnamed source”, Shari Stauch appeared to patiently steer me through this new phase of my journey. Shari guided me step by step through web development, online audiences, marketing trends, and effective use of my time and energy. She clarified terms such as print runs, consignment sales, and direct purchases. She introduced me to authors, editors, and reviewers in my area. She explained just what it meant when I received a “starred” Kirkus review. It is because of her guidance and expertise that my book has reached so many readers. Shari applauded my efforts and helped me turn my losses into wins. She made everything a learning experience. Her patient support – “remember it is a marathon, not a sprint” – reminded me that I was not meant to process everything at once. Her continual guidance – “You’re doing great” – instilled the confidence required to face the tasks that continually appeared before me. I have accomplished so much over these last months with her help. Technology and marketing remain a challenge, but I continue to face those challenges head on. I persevere with far less frustration and with increased knowledge and understanding that this is all a process and help is available. She was yet another angel in the wings for whom I will be forever grateful.